Hope you will join us this challenge! supplies: papers- solar white cs (neenah). kraft cs(recollections) and various sassafras lass papers; stamp-essential sentiments (amuse studio); ink- graphite black (archival brilliance); accessories- ribbon (walmart) and flower (sassafras lass). Retro Rubber Challenge...Our challenge for the week is to incorporate numbers on your creation. Craft-Dee Bowz... anything goes with handmade bow. I love the border you used! 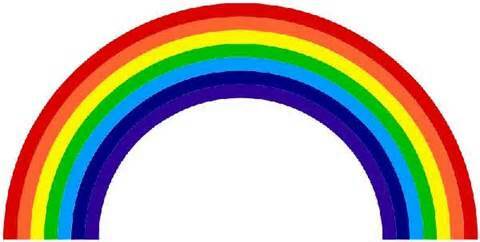 Talk about a rainbow...WOW! Pretty!!! LOVE the products and that banner!! What a unique and cool creation Sandi! Great job!! 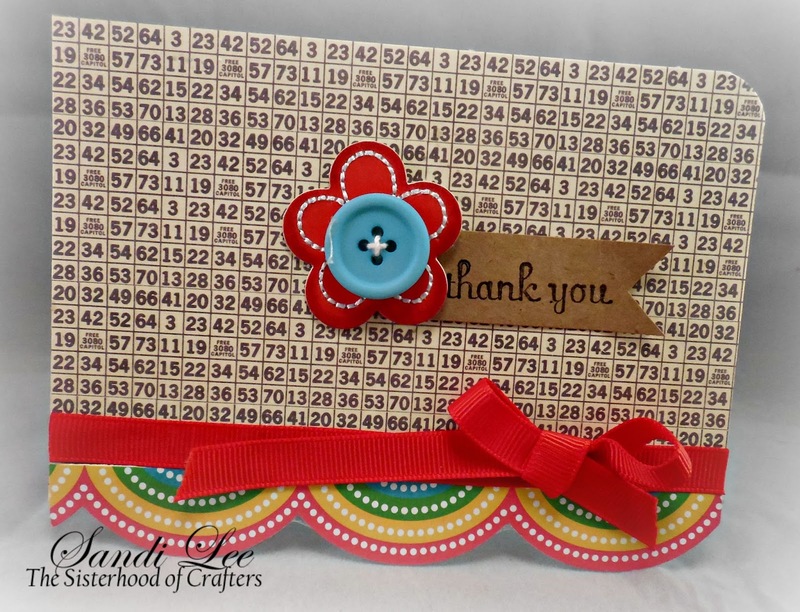 Beautiful card; love the look of texture created by the numbers. The rainbow scallops are gorgeous! this is soooo creative how you incorporated the numbers! love the fun, playful design! thanks so much for doing the challenge! Stunning creation, Sandi. Love the bow and the garland border. What beautiful card. Love the border and adorable flower. What a pretty card! I love your DSP and how you combined the challenges! Thank you for playing along with Retro Rubber this week. Such a fun festive card. The numbers in the DSP gives almost a soft brushed look. 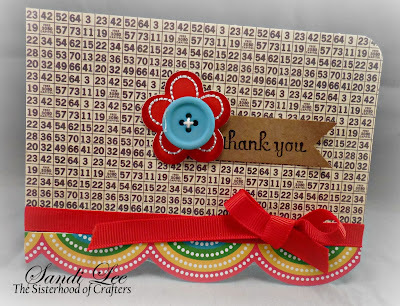 Thanks so much for including Retro Rubber in your stamping fun this week.